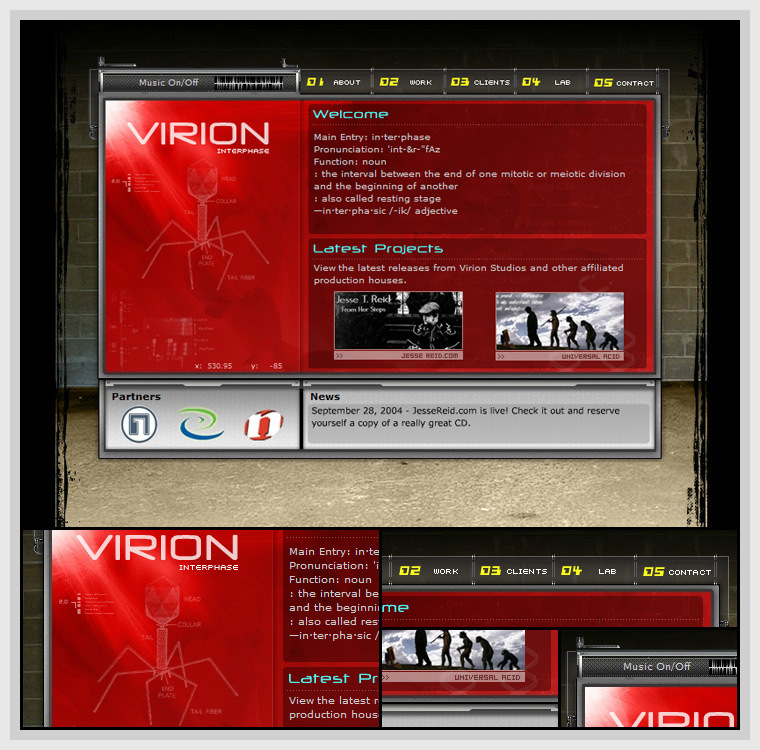 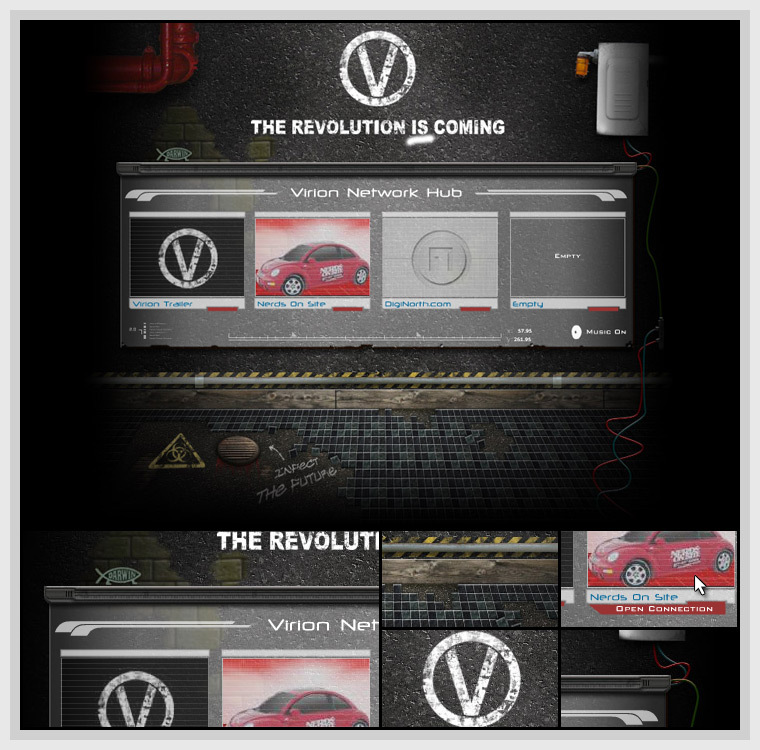 Located in Toronto, Canada, Virion.ca is the digital home to designer, developer and "armchair" scientist, Jason Matthew Young, a.k.a Virion. 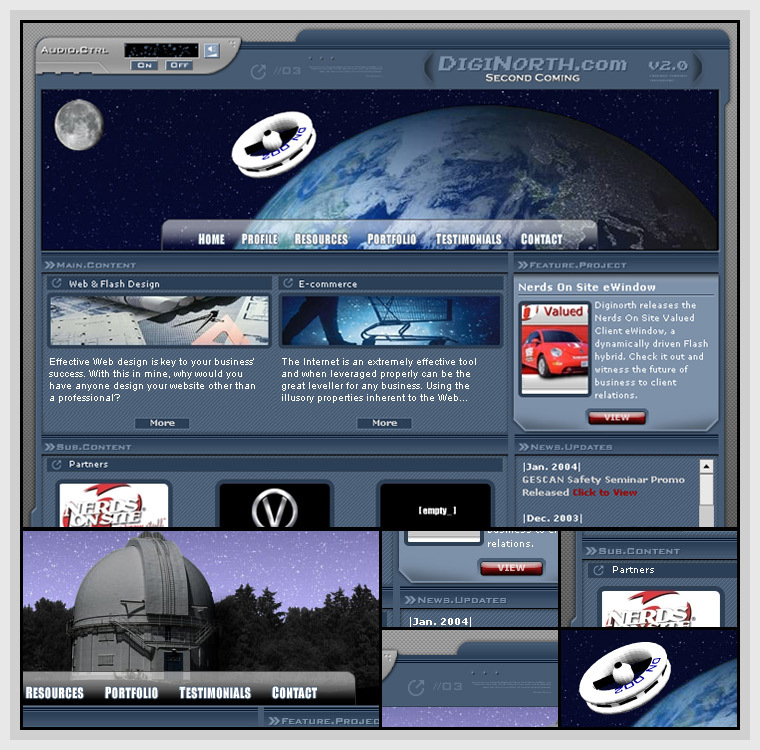 For over a decade, I have been working within the Web industry specializing in web and interactive design and development, search engine optimization (SEO), social media and online marketing. 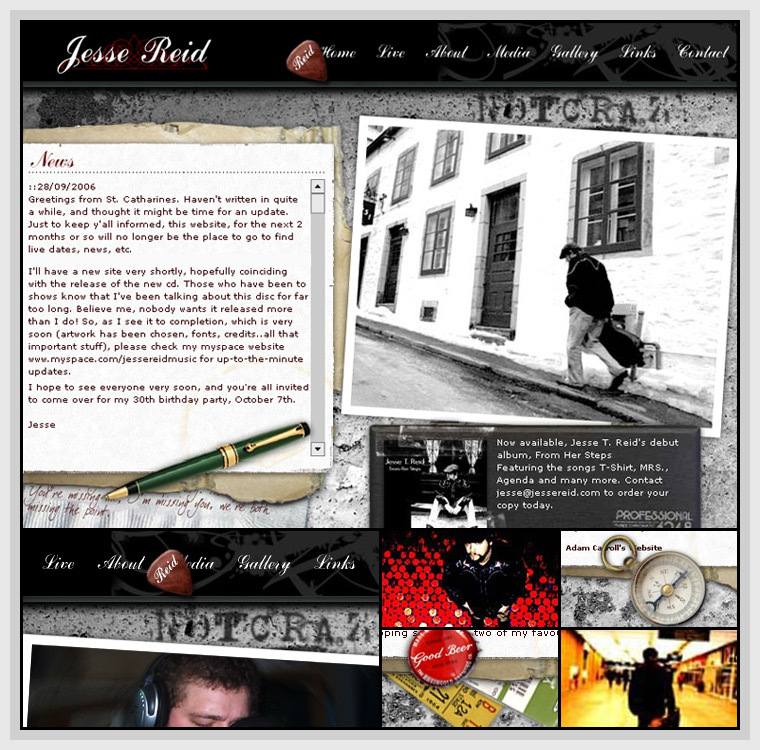 This is my portfolio. 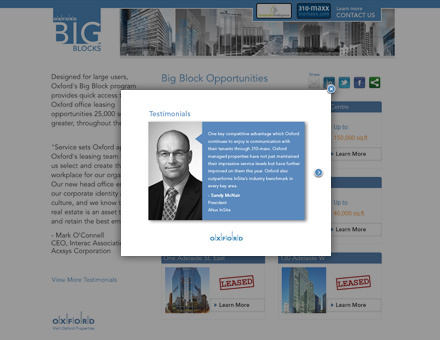 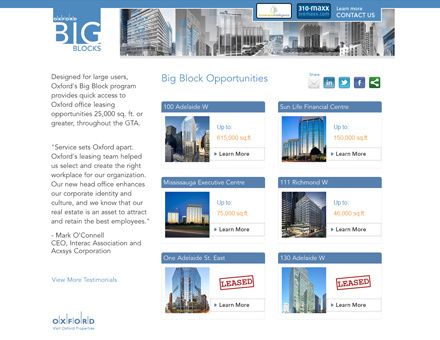 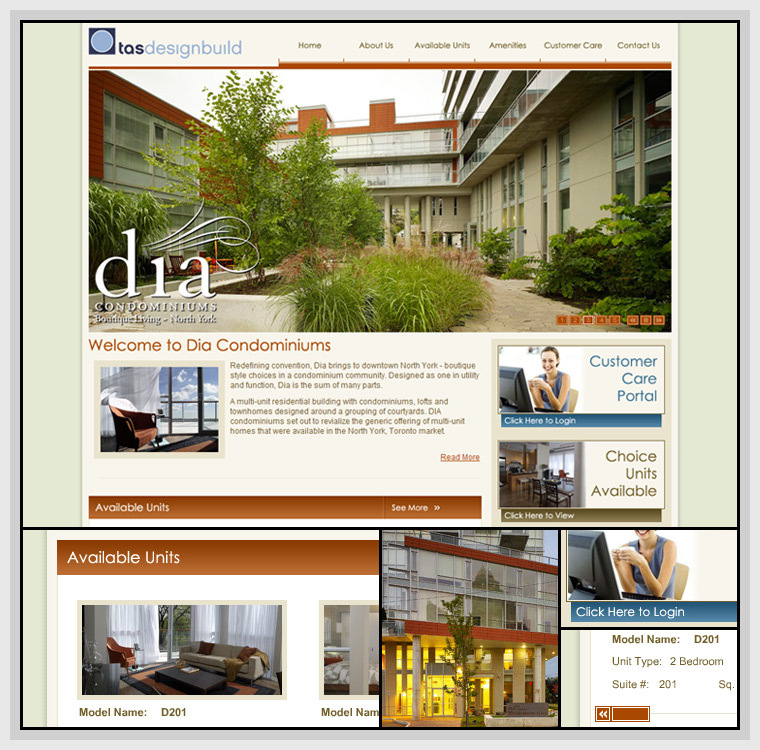 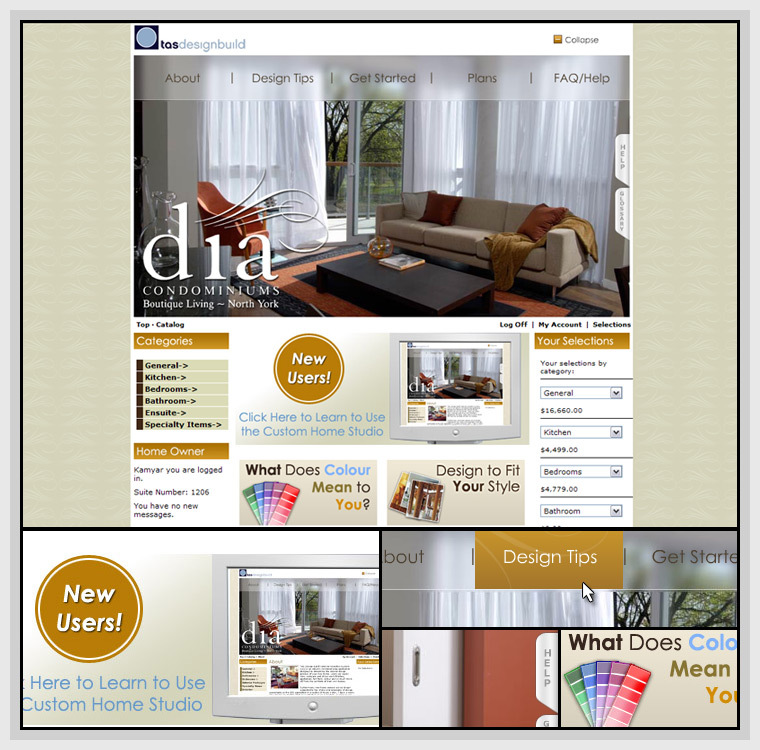 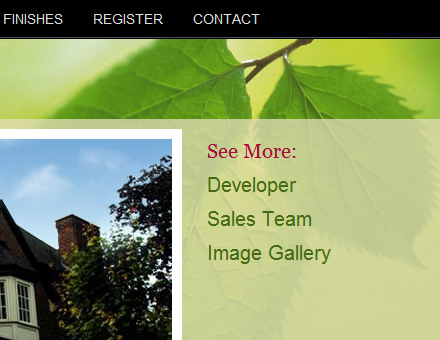 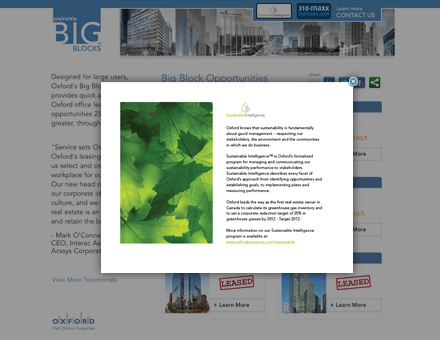 Dynamic Web-based application for the Oxford Properites Group. 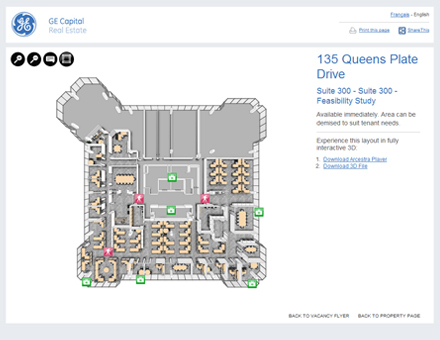 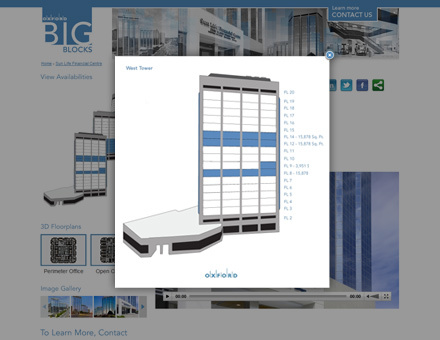 Driven by the Arcestra API users can search through Oxford's available commercial real-estate listings, view images of the building and office spaces, watch video walkthroughs of prospective suites, and "test drive" them in fully interactive 3D. 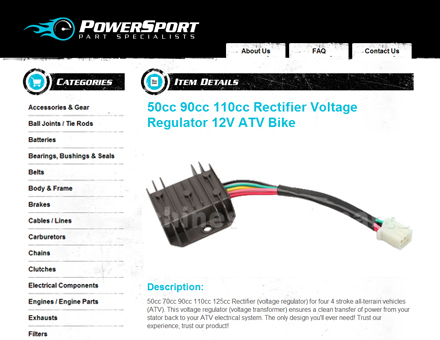 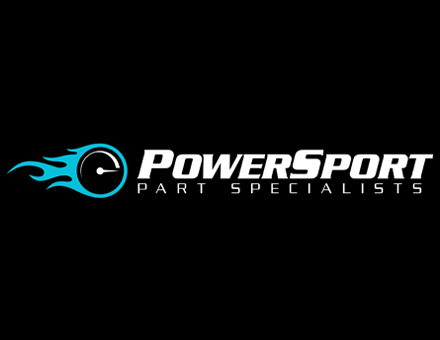 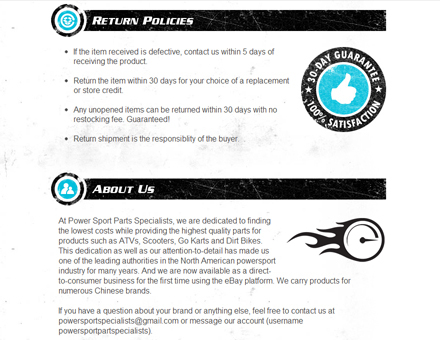 Logo/identity, eBay storefront, and eBay product listing template for PowerSport Parts Specialists, an international power sport part supplier. 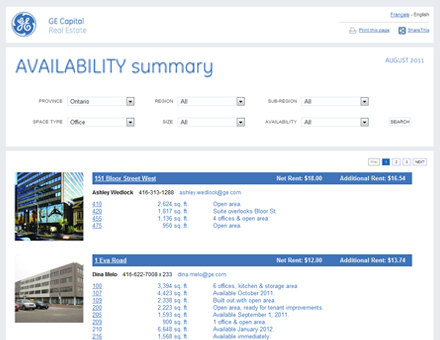 This dynamic Web-based application for GE Capital Real Estate harnases the power of the Arcestra API, allowing users to not only view suite availabilities, but "test drive" spaces in 3D. 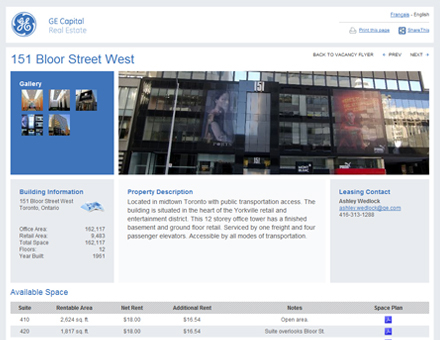 The applications also features jQuery powered image galleries, video player, social sharing tools, and Google Maps implementation. 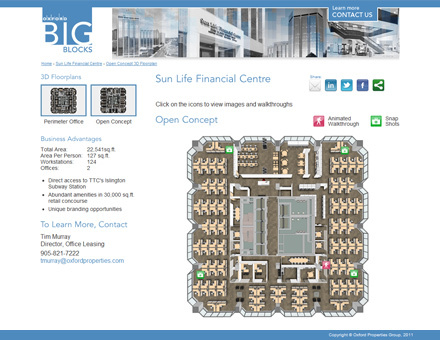 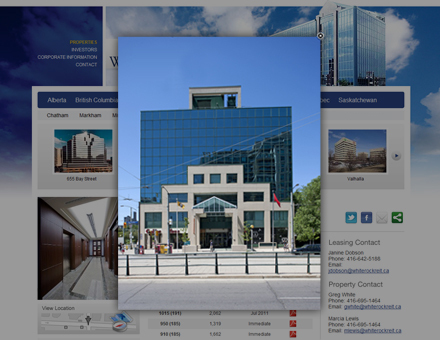 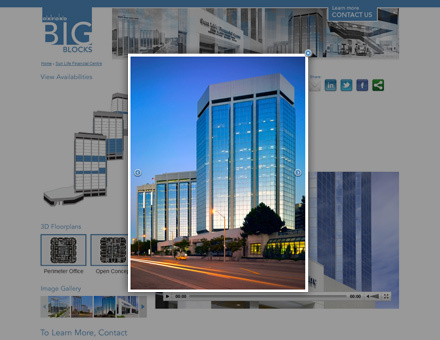 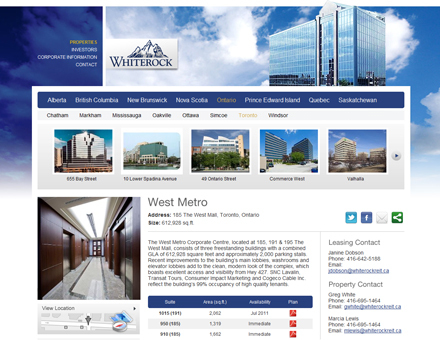 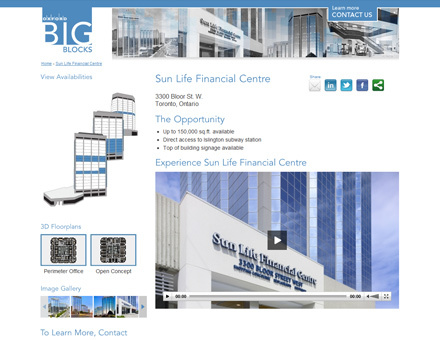 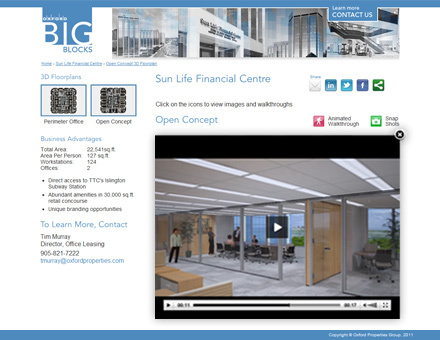 A dynamice Web-based application for Whiterock REIT built using the Arcestra API. 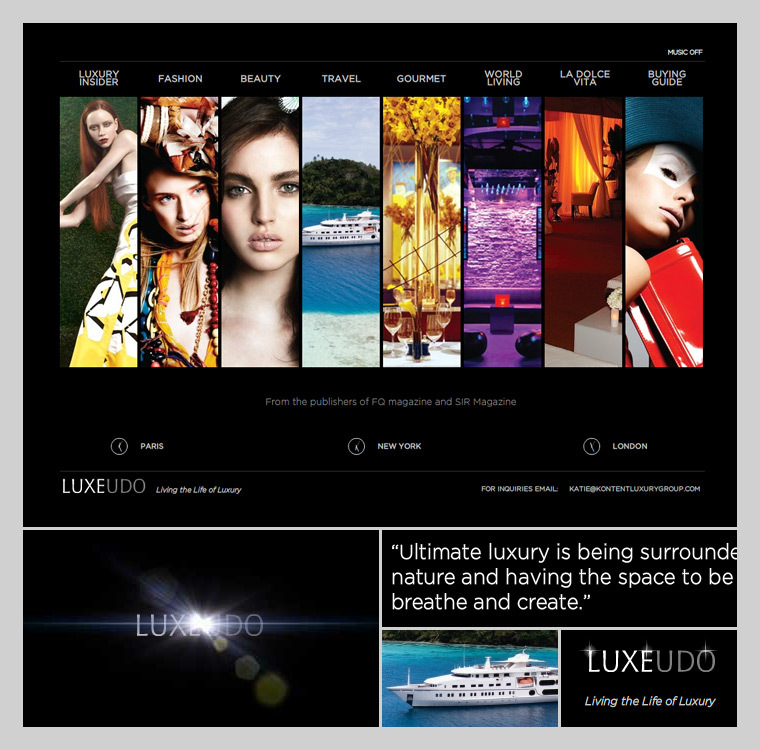 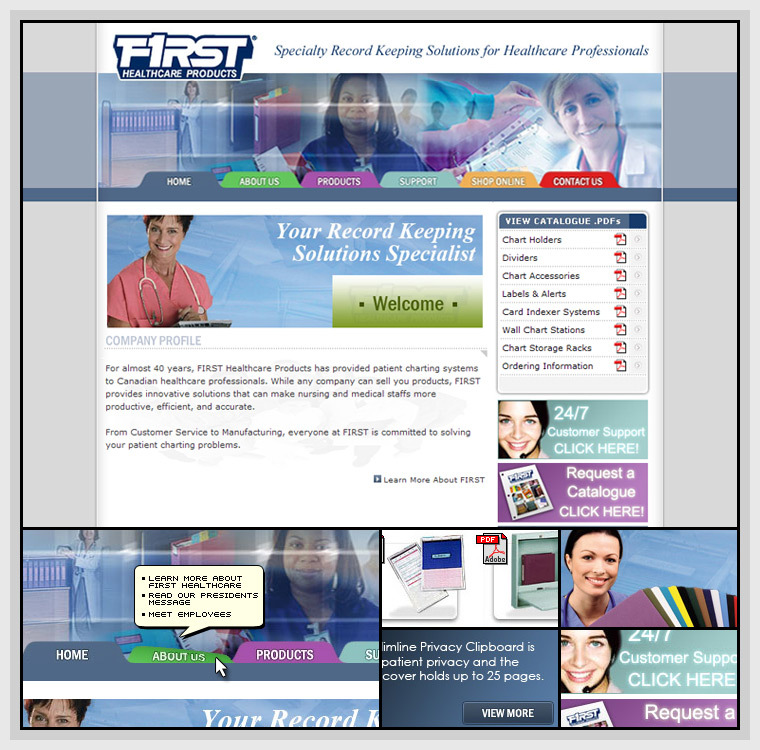 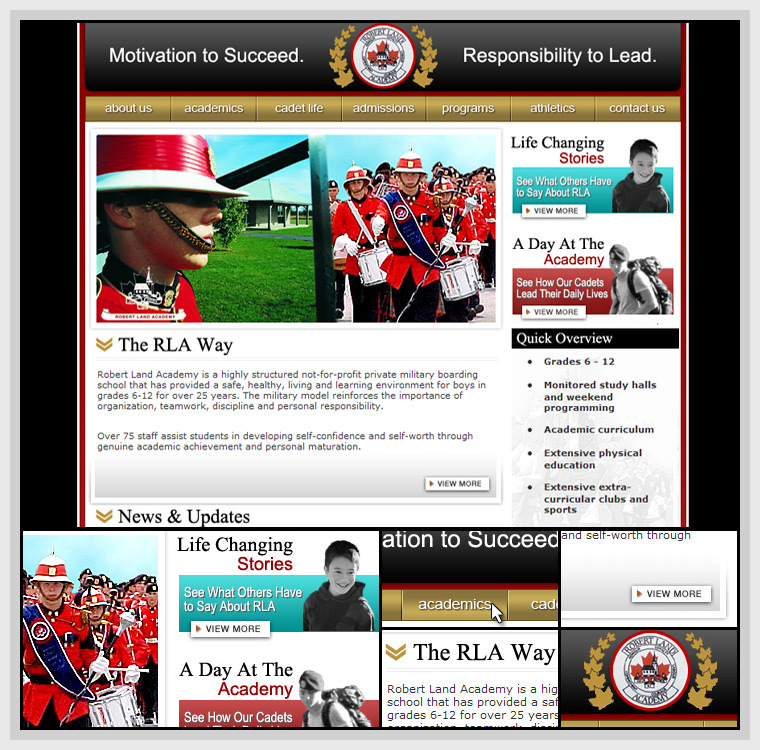 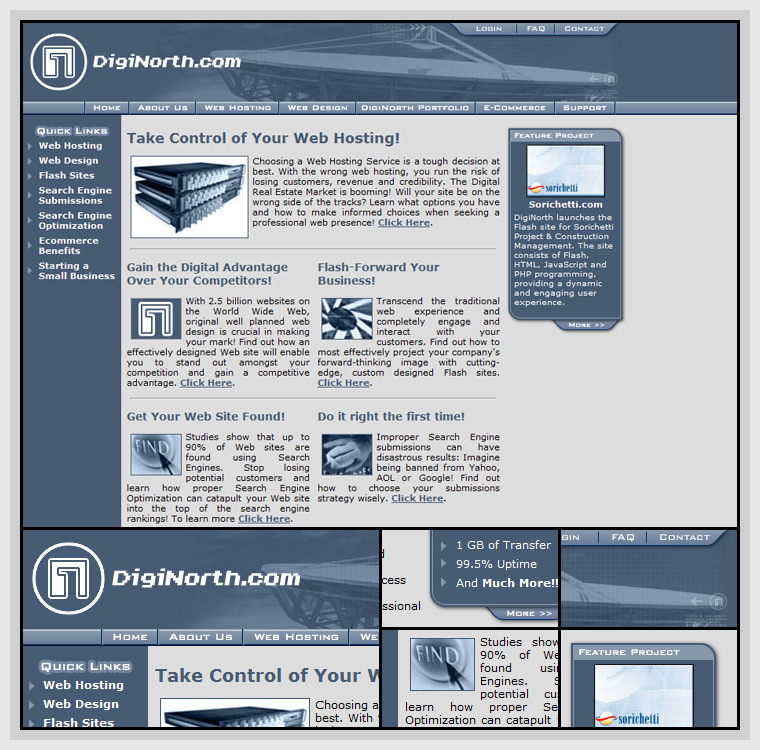 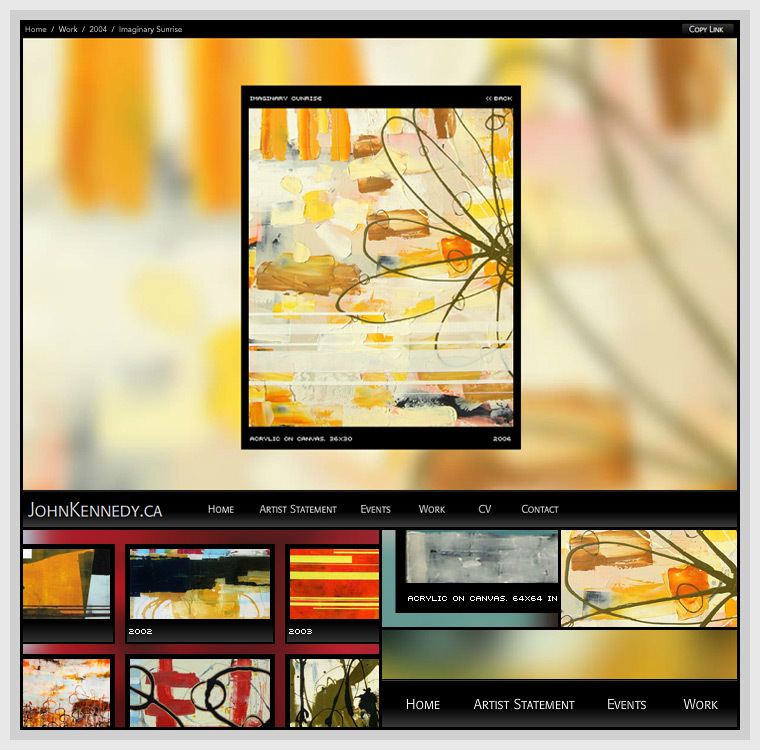 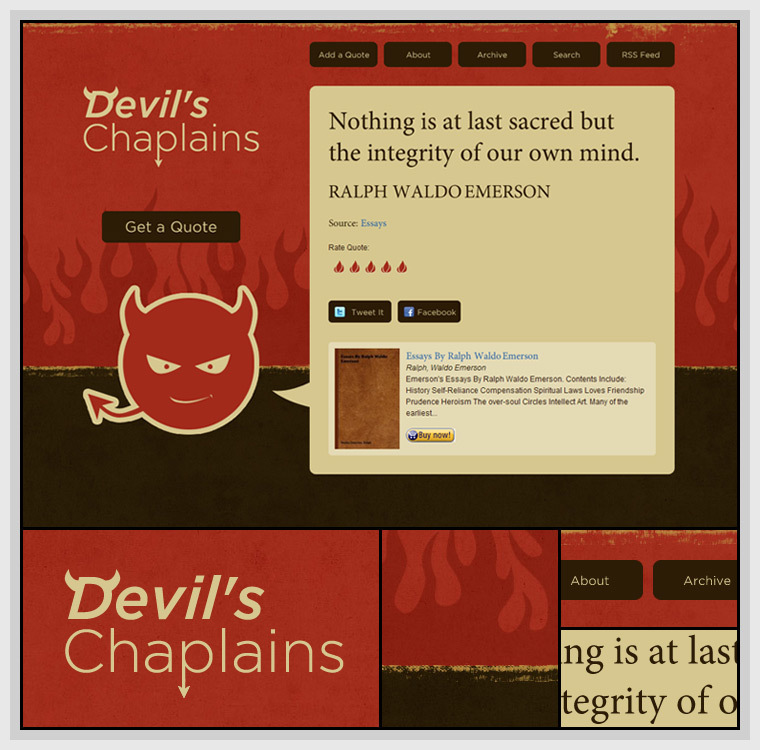 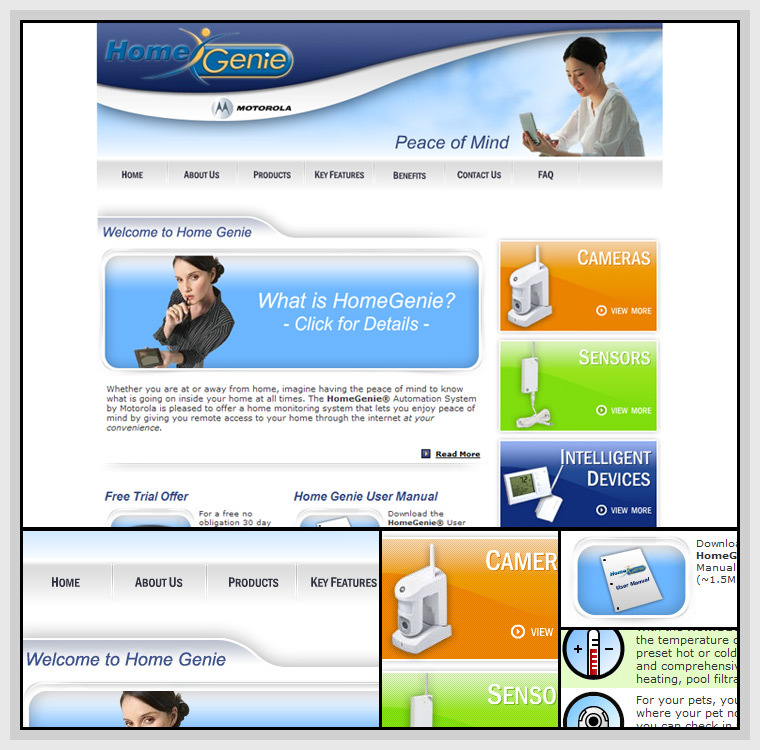 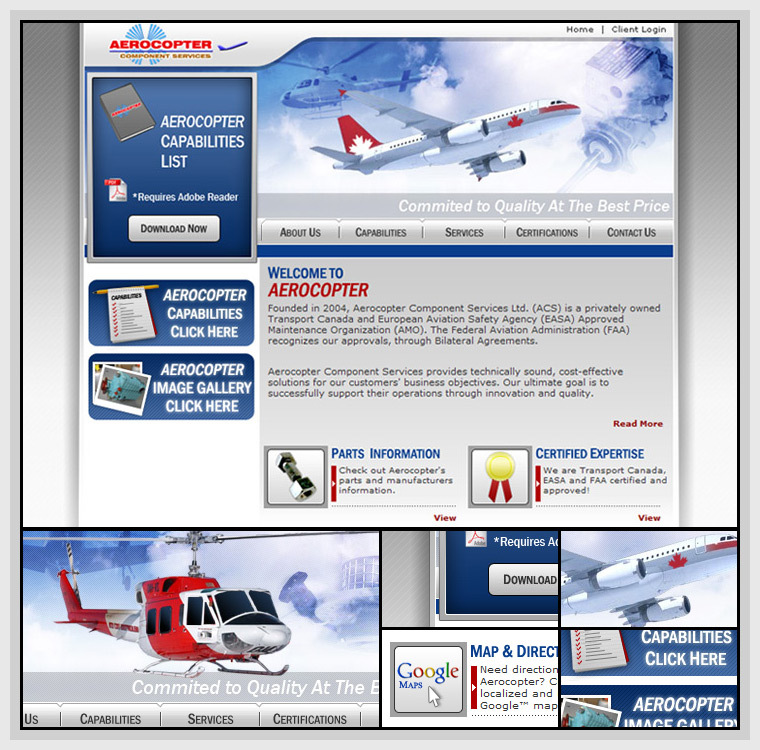 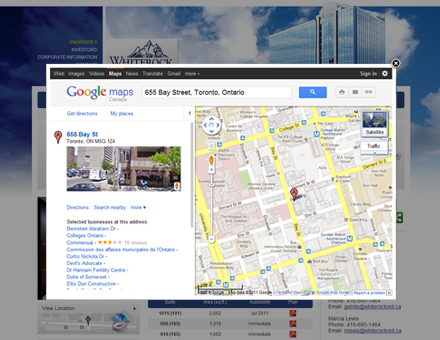 Features a jQuery powered content carousel, image gallery, Google Maps implementation, and social sharing tools. 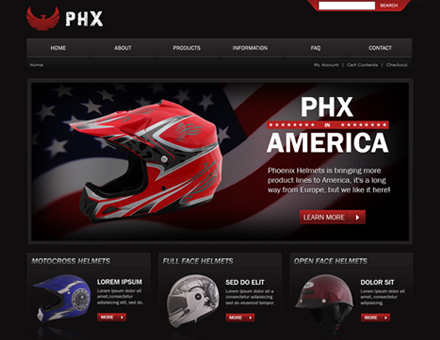 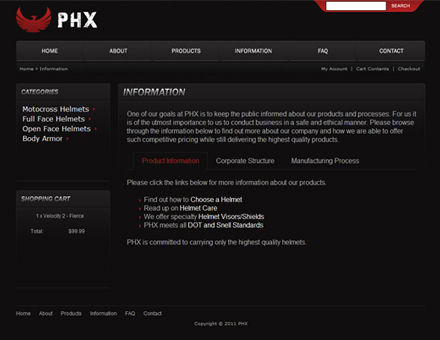 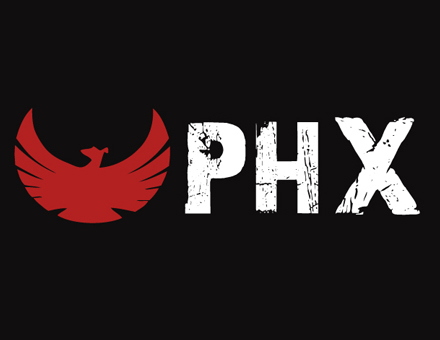 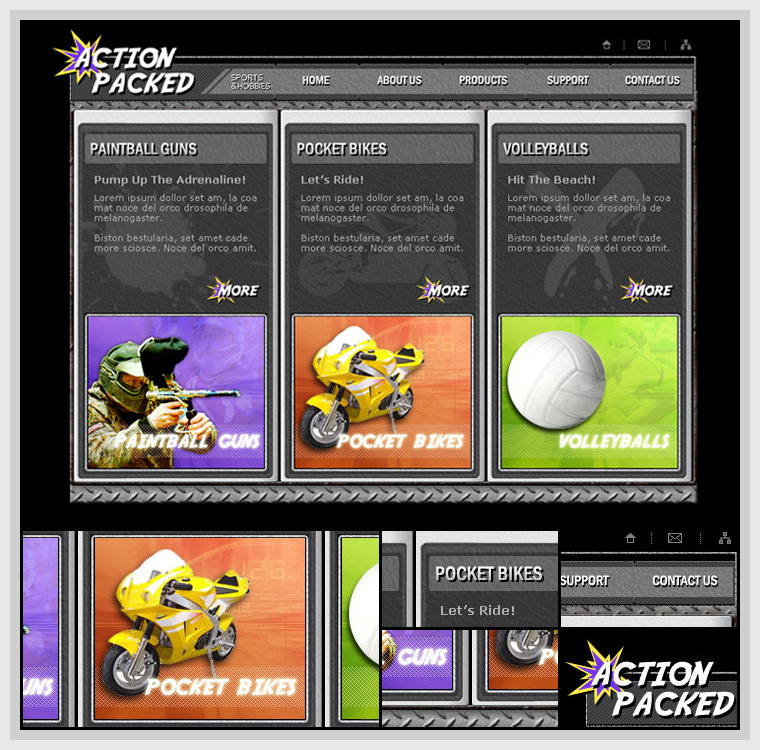 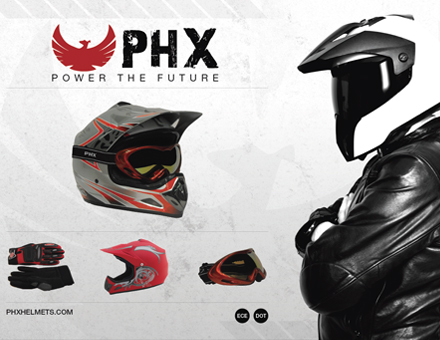 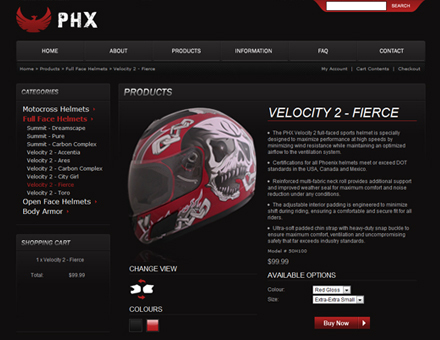 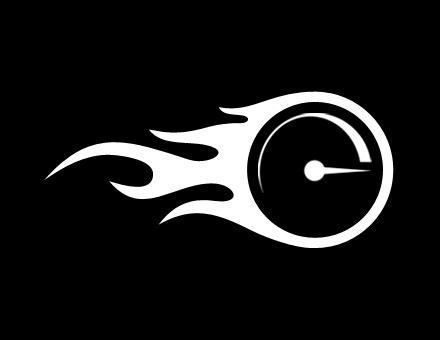 E-commerce website, logo and brand refactoring, sales display banner, and promotional poster for PHX, an international distributor of powersport helmets and gear. 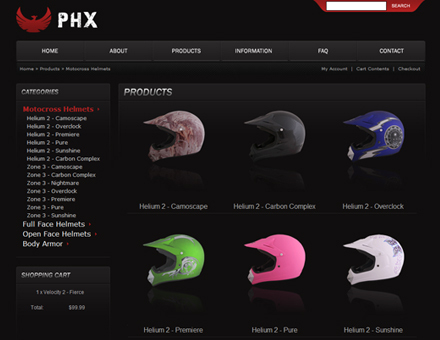 Built using the OSCommerce platform, the website incorporates a number of jQuery implementations to enhance user experience. 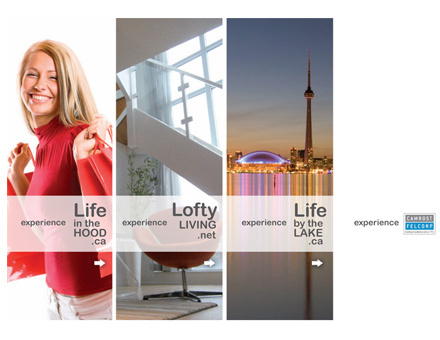 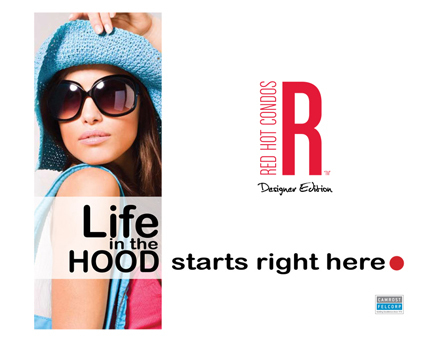 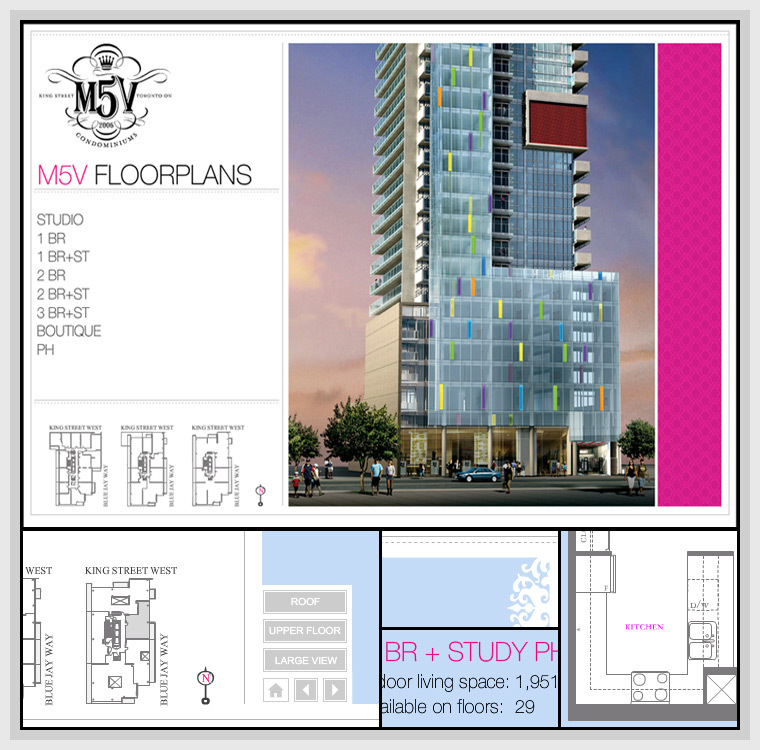 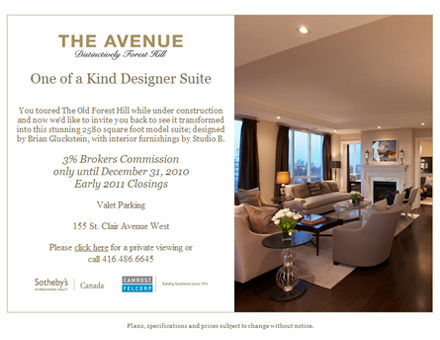 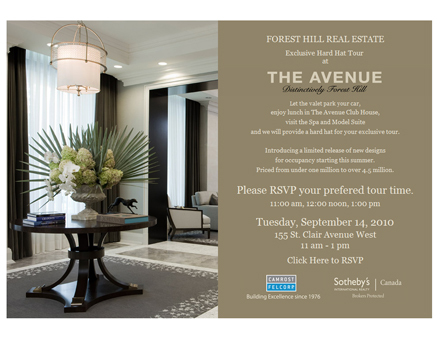 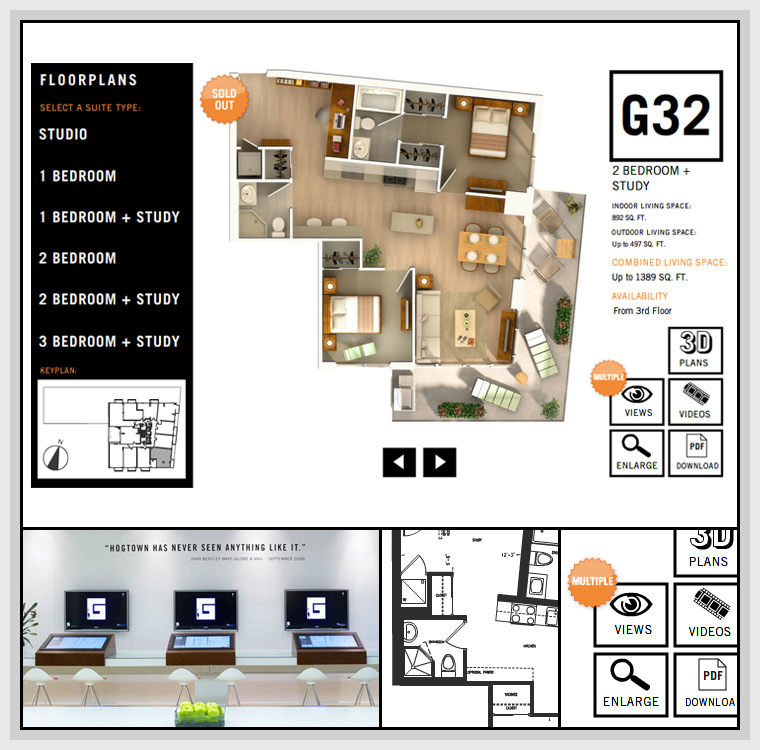 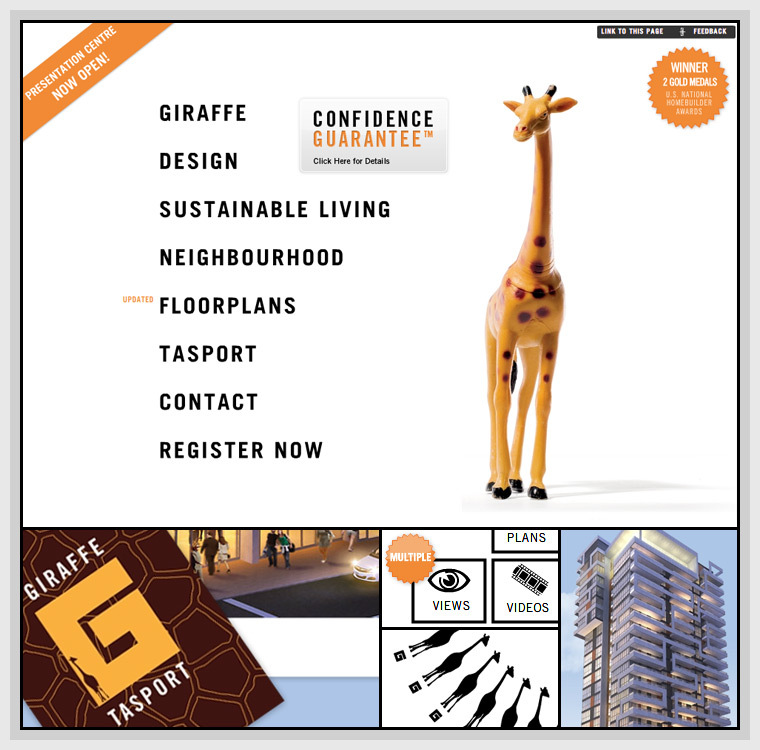 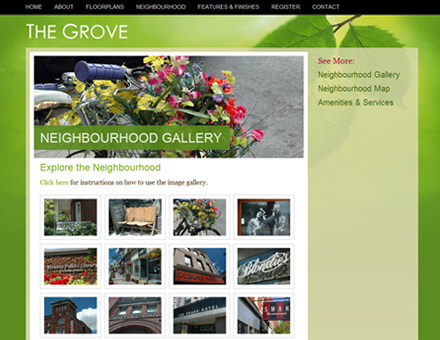 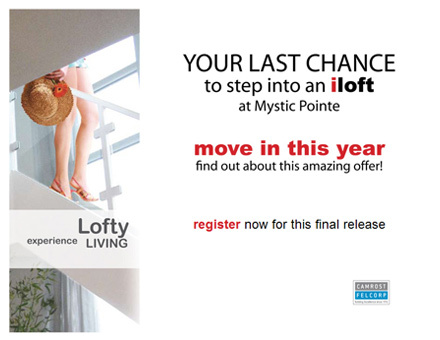 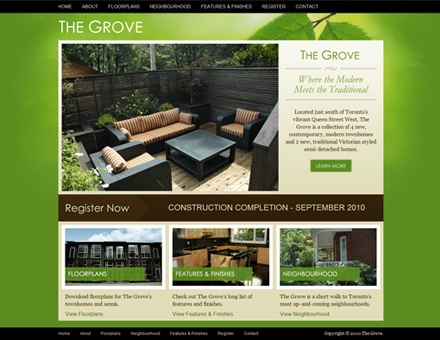 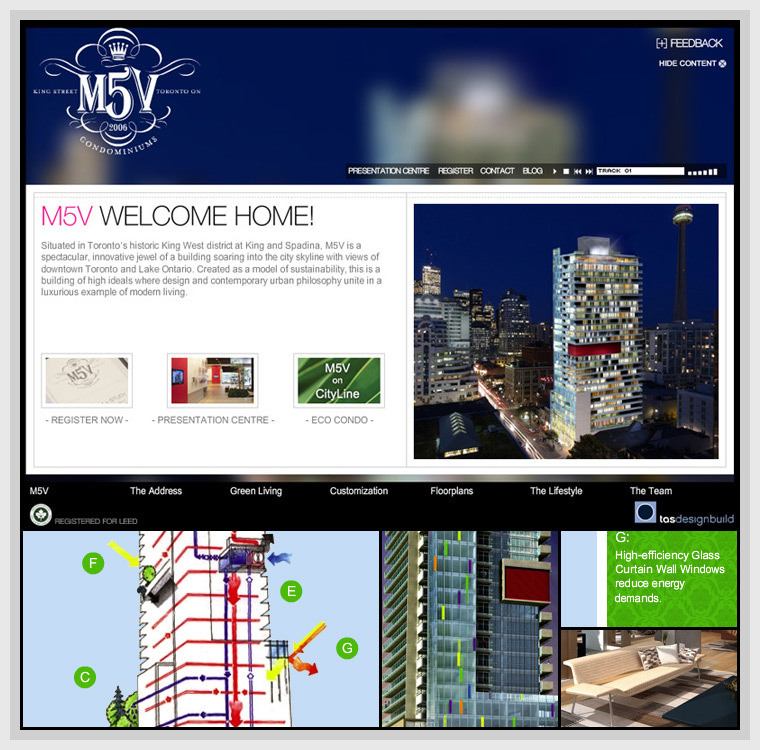 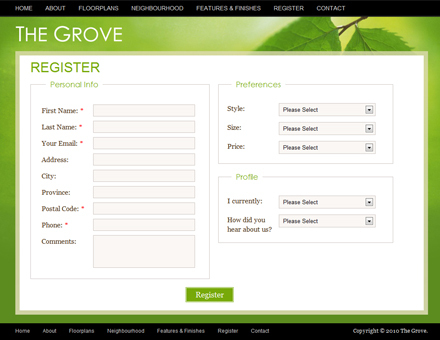 Website for The Queen West Grove townhomes and condominiums in Toronto. 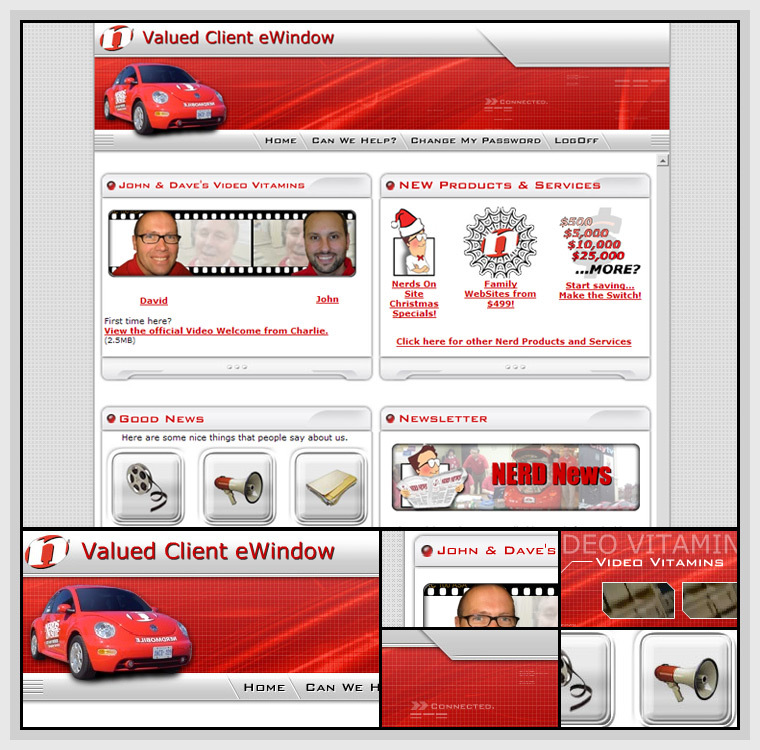 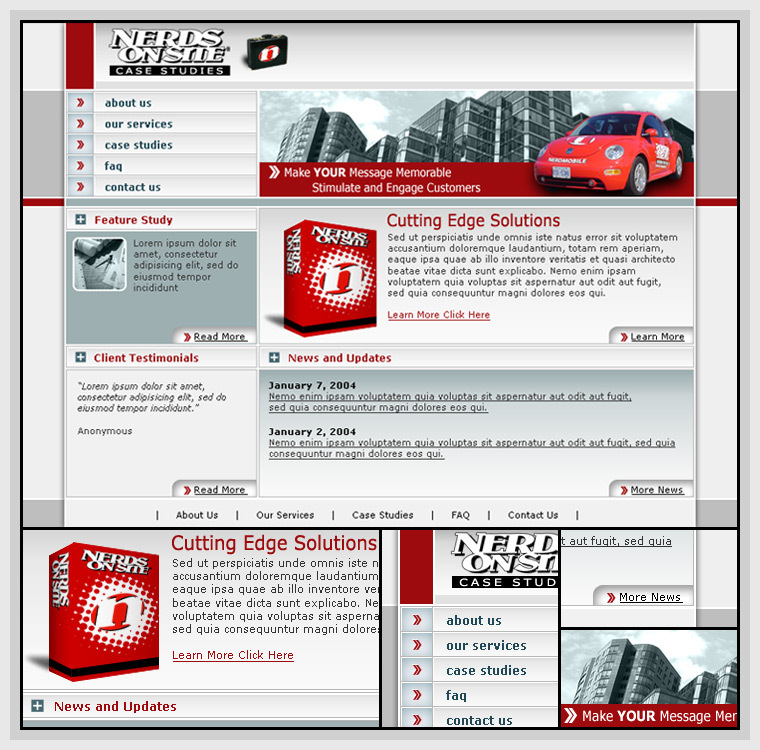 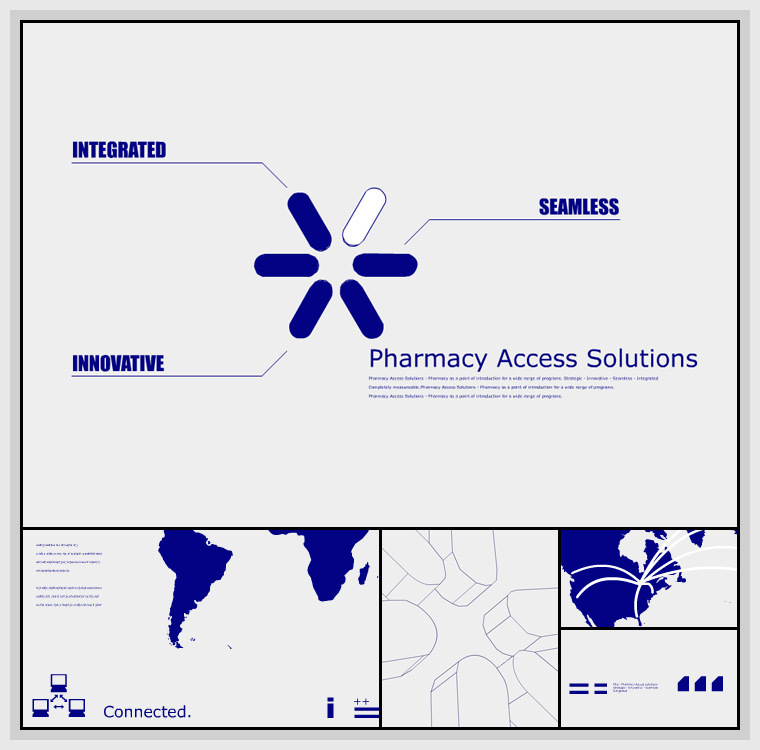 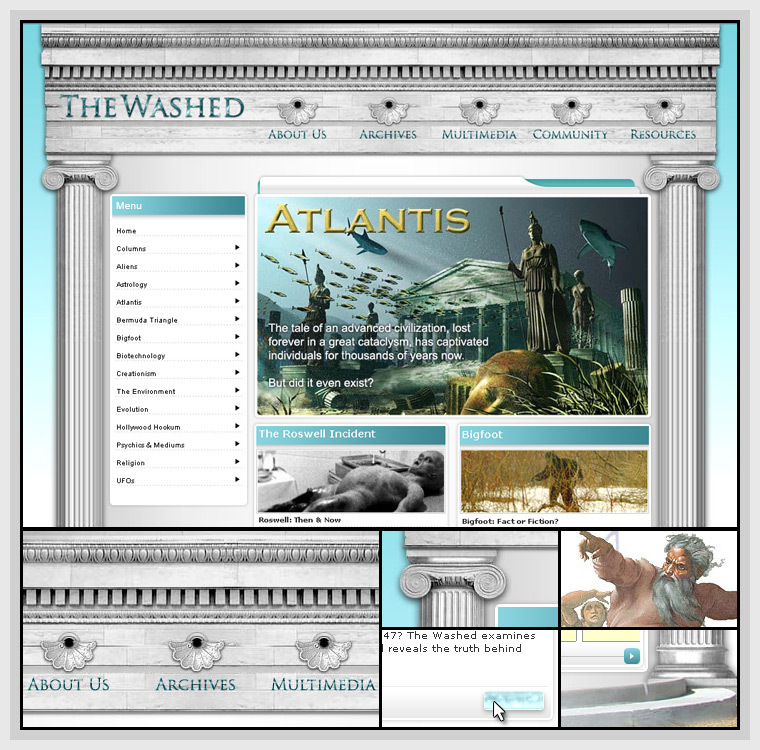 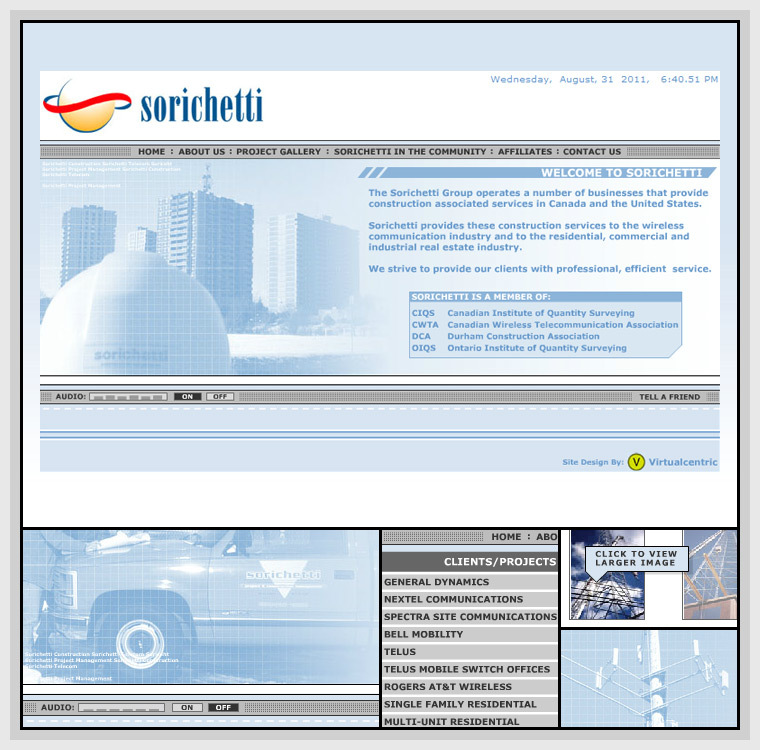 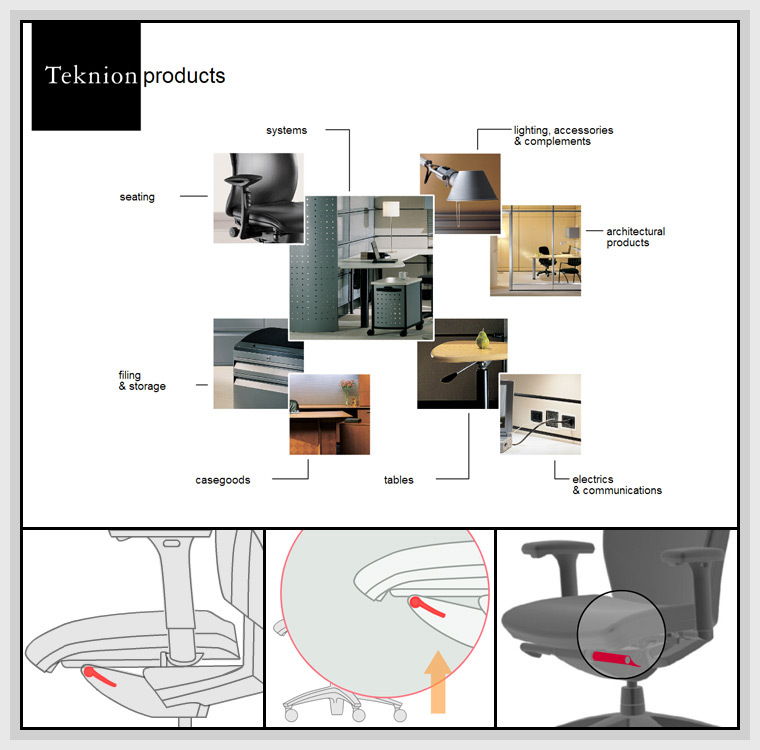 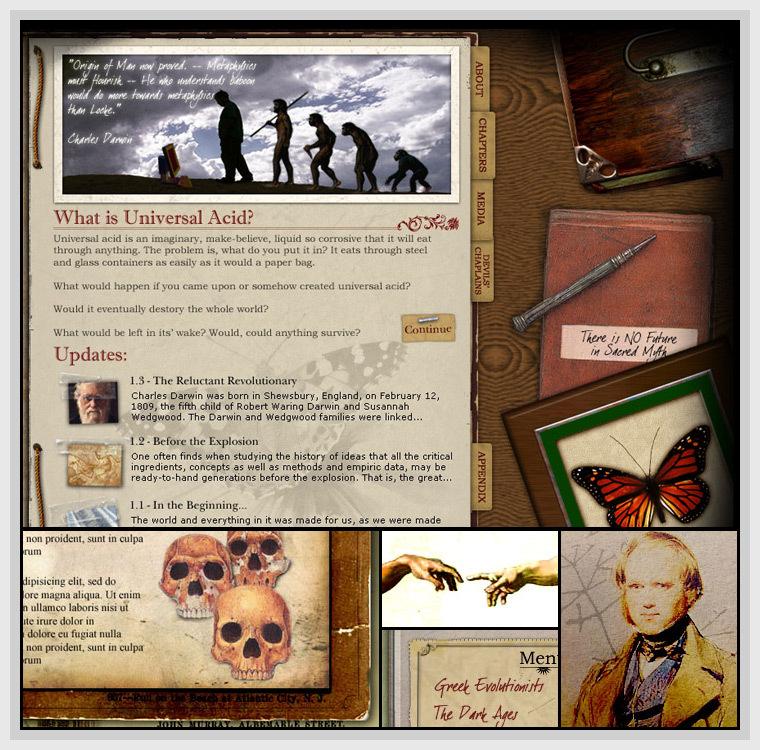 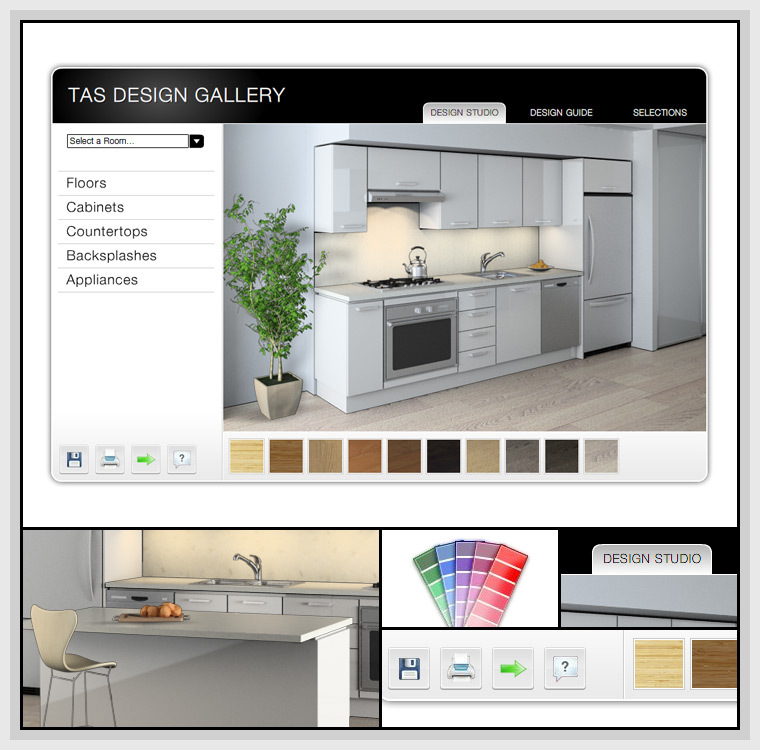 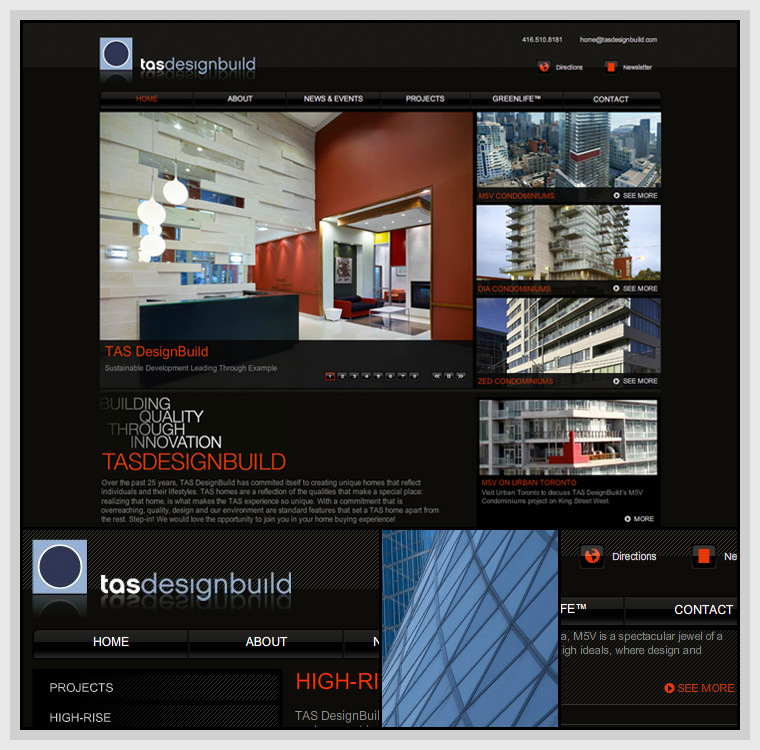 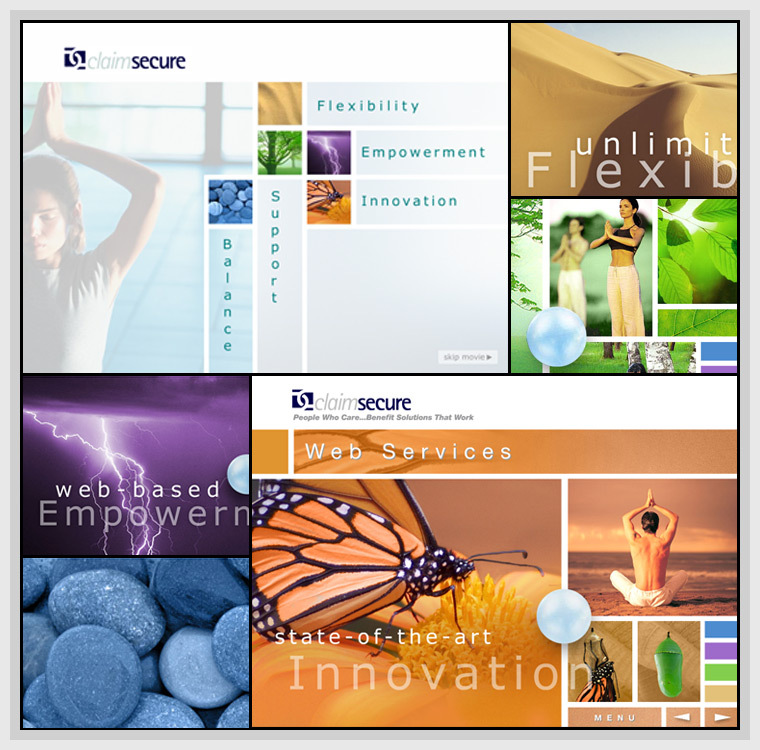 Features a Flash animated slideshow and jQuery powered image gallery. 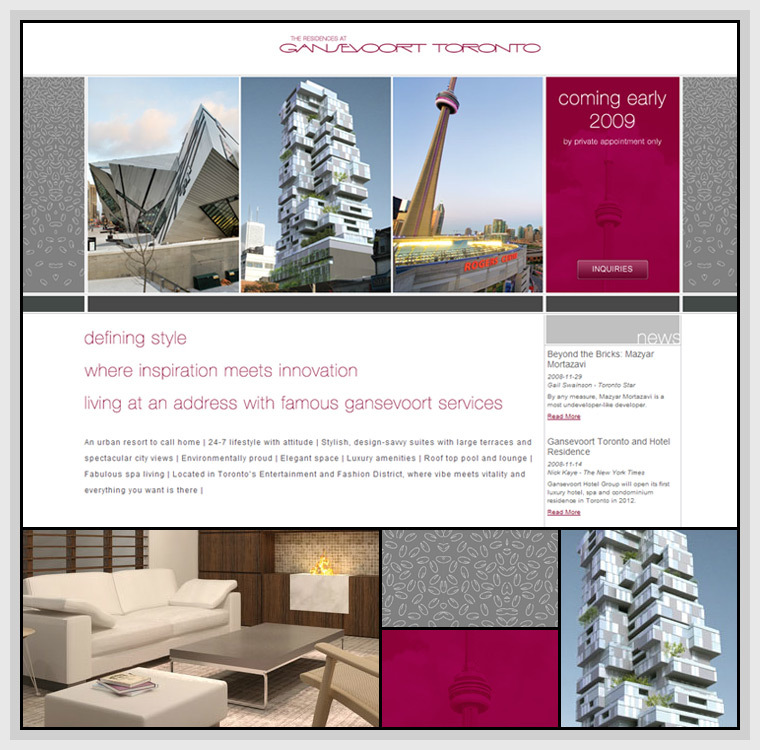 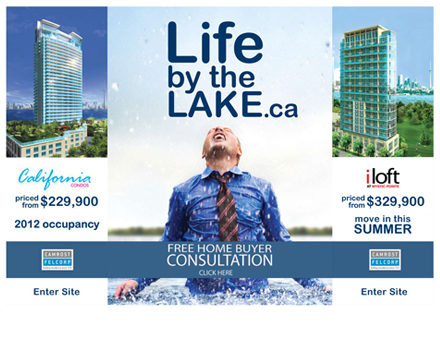 An array of micro-sites, landing pages, banner ads, and marketing emails for a variety of Camrost-Felcorp real-estate projects. 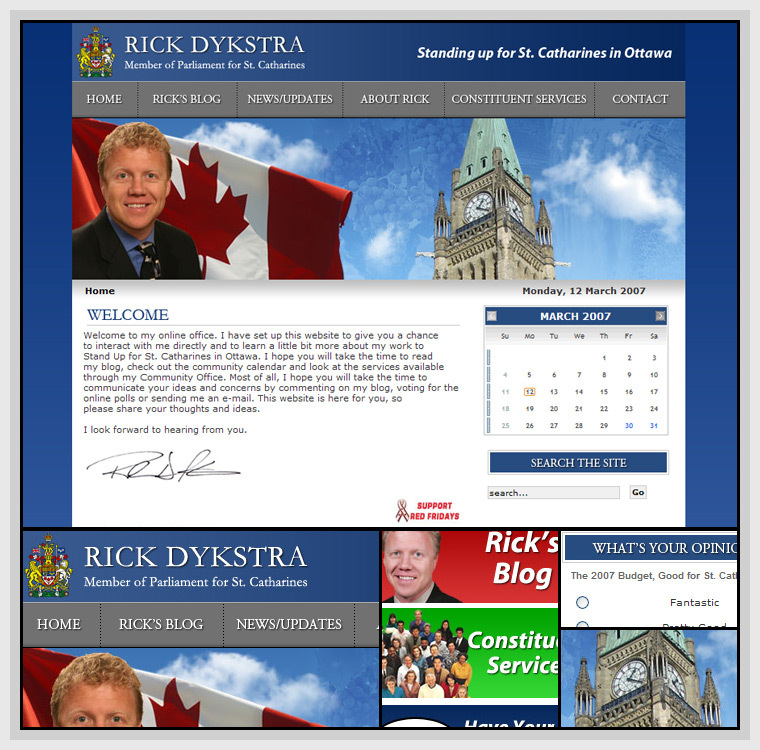 The following is a selected list of some of the more recent awards and nominations that I have received, and are meant only to demonstrate some of the successes I have had for my clients. 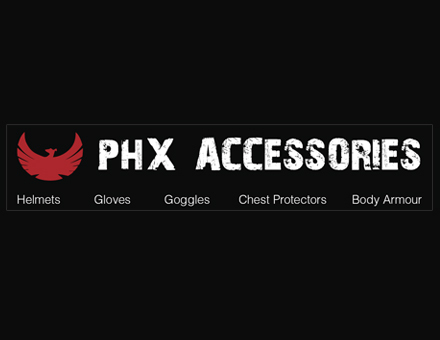 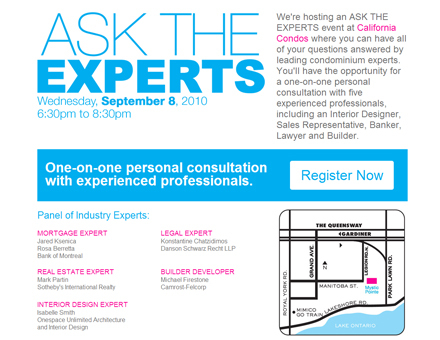 Please feel free to send me a message if you have any questions, comments or business inquiries.